Please note International women's day 2019 occurred in past. 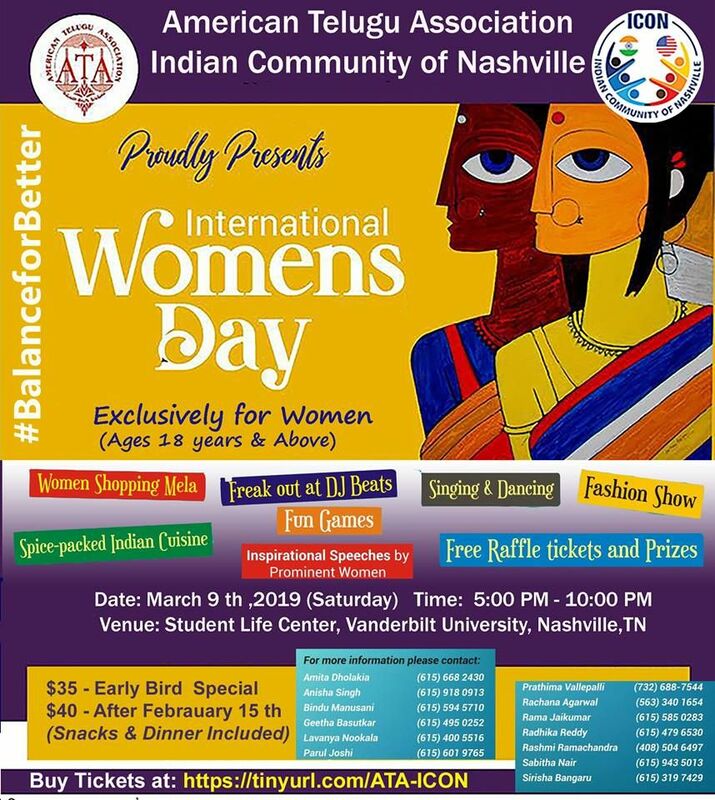 WE the Nashville Women's group collaborate once again to bring to you the 2019 International Women's Day (IWD) Event. International Women's Day is a global day celebrating the social, economic, cultural and political achievements of women. Today, IWD belongs to all groups collectively everywhere. IWD is not country, group or organization specific. Make IWD your day - everyday. Note: We provide all Indian (desi) events. 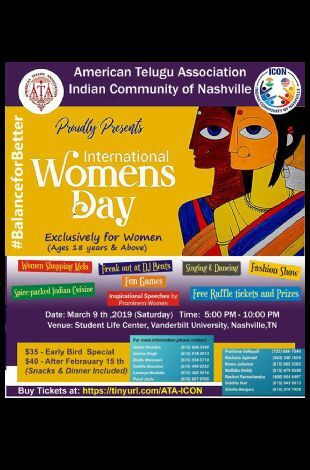 Your source of all the Desi Indian events happening in and around Nashville, Knoxville, Memphis. TNIndian.com has tried it's best to provide accurate information, we request you to check our site for updates. TNIndian.com is not responsible for any cancellations or changes in events.